The team was led brilliantly by Leicester Cathedral, ably supported by the University of Leicester and Leicester City Council press offices, plus representatives and volunteers from other related organisations including the King Richard III Visitor Centre, Bosworth Battlefield, Leicester Shire Promotions, Richard III Society and more. 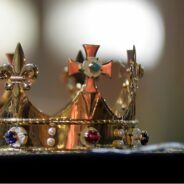 Channel 4 covered the events live each night of that particular week and hundreds of journalists, reporters and broadcasting crews from across the world descended on Leicester to capture this unique moment in history when a King of England was reburied, 500 years after he was killed in battle. In addition to the unprecedented levels of high profile press coverage in broadsheet and tabloid newspapers, on global news networks, online, and on TV and radio, and the satisfaction of completing a successful media management campaign that reflected the Dignity and Honour of the reburial process, the project team has recently been recognised domestically and in Europe for its efforts. In November 2015, the partnership team won a Gold CIPR PRide Award. This Special Recognition Award recognised the collaboration between the University of Leicester, Leicester City Council and the Diocese of Leicester to deliver the communications activity around the Reinterment of Richard III at Leicester Cathedral. This was followed recently by a Top 5 placing for the Diocese of Leicester in the Communications Team of The Year category of the European Excellence Awards in Stockholm, honouring outstanding achievements in the field of PR and communications. To play even a minor role in the PR activity that underpinned this amazing time in Leicester’s history was reward itself and an experience that I will never forget (and will never be able to repeat!). Congratulations on these deserved awards to the teams who led the project and thanks again for letting me be a part of it.